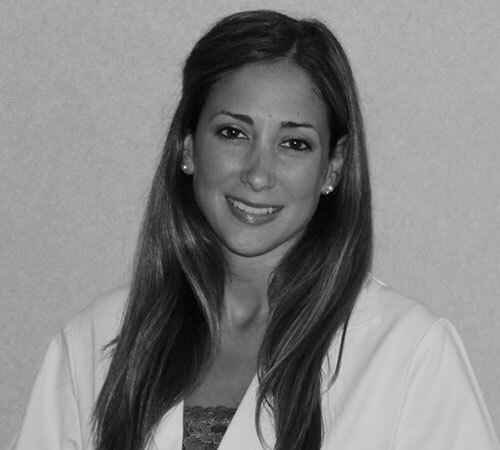 Dr. Decker is a pediatric dentist who devotes her practice specifically to the oral health care needs of children. She is a kind, compassionate, fun-loving person who very much enjoys providing high quality care and believes every child and parent should have a positive experience at the dentist! Dr. Decker grew up in Livingston, NJ. She obtained an Honors B.S. from the University of Delaware, and went on to attend Rutgers School of Dental Medicine. Following dental school, Dr. Decker completed a two year specialty residency program in pediatric dentistry at Yale New Haven Hospital. There, she received comprehensive training in child growth and development, behavior management, sedation, operating room dentistry, interceptive orthodontics, and caring for special needs and medically complex patients. She is board eligible, and currently a member of the American Academy of Pediatric Dentistry and American Dental Association. Dr. Decker lives in New Haven with her husband, Nathan. Her favorite pastimes include traveling, skiing, running, and spending time with friends and family!